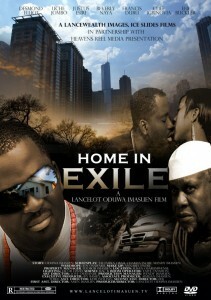 Imasuen describes Home in Exile as “a mirror through which Nigeria should look at itself.” The movie captures a community lacking in effective leadership. In the film three friends, Greg (Francis Duru), Dave (Desmond Elliot) and his Kenyan girlfriend, Julie (Beverly Naya), decide to build a hospital in Ewogie, the hometown of Dave, but the king Enogie (Justus Esiri) and his cabinet refuse to grant their request for the project. The people of the land have to fight for what they truly care about or be denied the opportunity of having this basic amenity. This big budget film made headlines when it was nominated as an official selection in the Carlow Film Festival.